buy naltrexone from trusted pharmacy viagra The MV Putri Papua liveaboard offers year-round dive cruises in Raja Ampat, Indonesia. Dive trips vary from 7 - 10-nights and depart from and return to Sorong. Possible dive areas visited could include Airborek, Wayag, Mansuar and Misool. Raja Ampat is known for amazing marine diversity, and divers have the chance of diving amazing macros, huge schools of fish and the chance of bigger things passing by. Dive facilities aboard the M/V Putri Papua include 10 gear stations, camera setup and charging areas and shower areas on the dive platform. 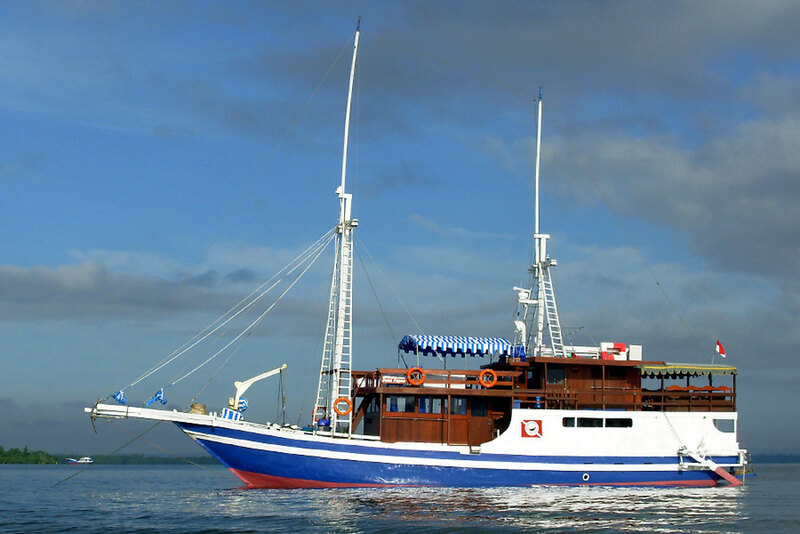 follow Topside the MV Putri Papua phinisi caters to just 9 guests in 5 cabins. Each cabin has AC and en-suite bathrooms and is with either double or twin bedding plus one single. Social areas include the fan cooled lounge with TV, CD & DVD player plus dining seating for ten. European and Indonesian dishes are freshly prepared on board. There is also a sun deck with awning for soaking up the rays or enjoying the sea breeze and stunning Raja Ampat views. here The crew and guides of the Putri Papua have been exploring the region for 30 years and bring a wealth of experience and knowledge with them. Join them for an unforgettable journey in Raja Ampat. Call us or book online today to reserve your space. mobic drug interactions alcohol viagra VAT, Accommodation, Transfers/pickups from airport, Tanks, Weights, Belts, All meals, Towels Provided. 5 Air-Conditioned cabins for 9 persons with en-suite bathroom, shower, wash basin and toilet.